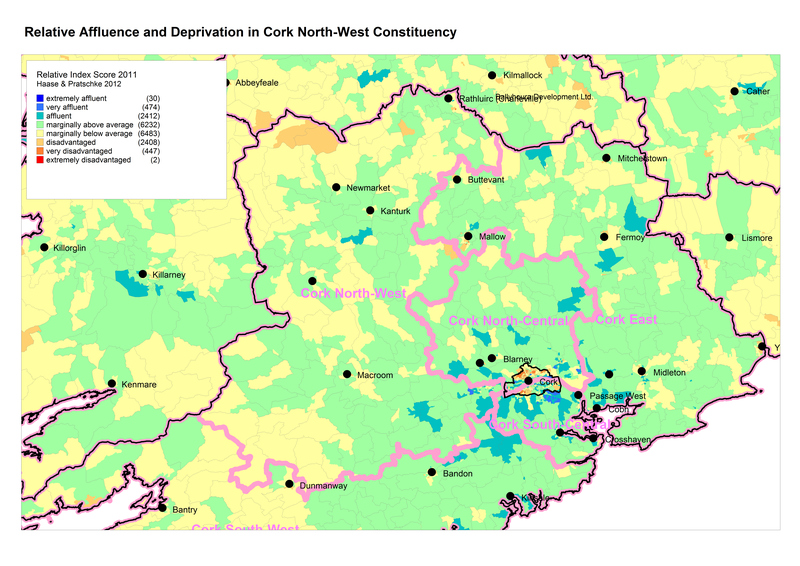 The tables below offer links to the latest set of area profiles, based on the 2011 Census of Population. 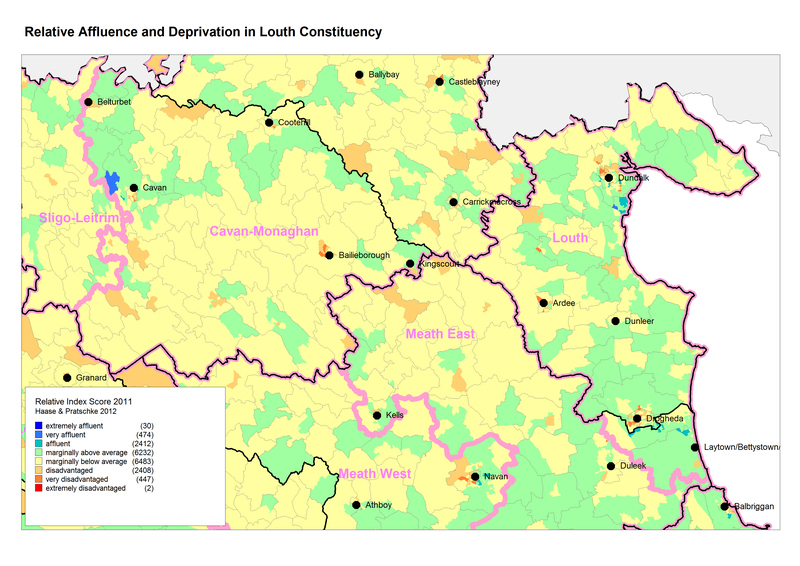 The County Reports continue the set of profiles that have been produced for the previous three censuses for the Local Development Companies, Local Authorities and indeed any other organisation with a social inclusion remit within a county framework. 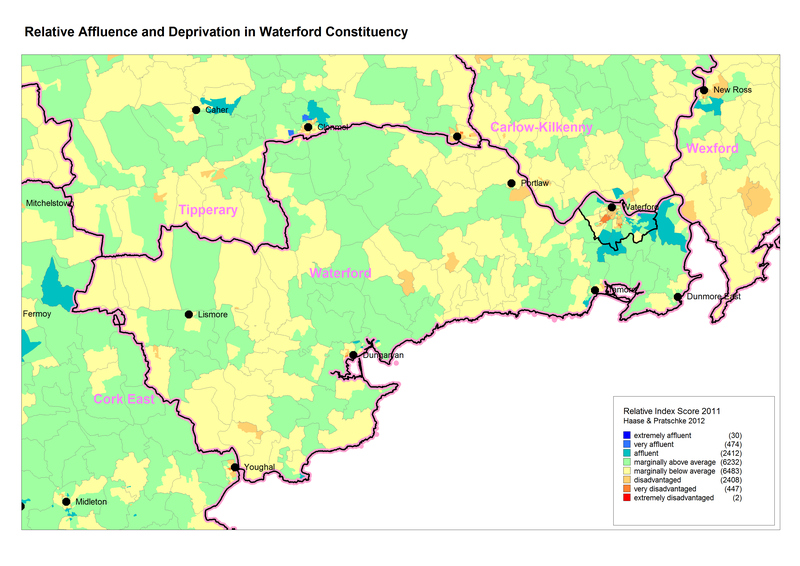 The Constituency Reports provide an overview of the socio-economic makeup of the 40 constituencies in the run-up to the 2016 general election. 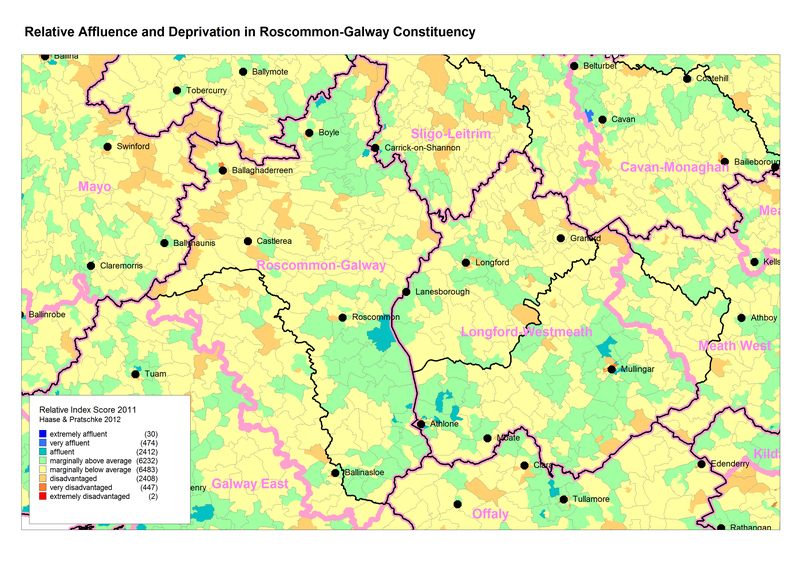 The profiles were developed on behalf of TV3 and are currently being used in The People’s Debate with Vincent Browne. 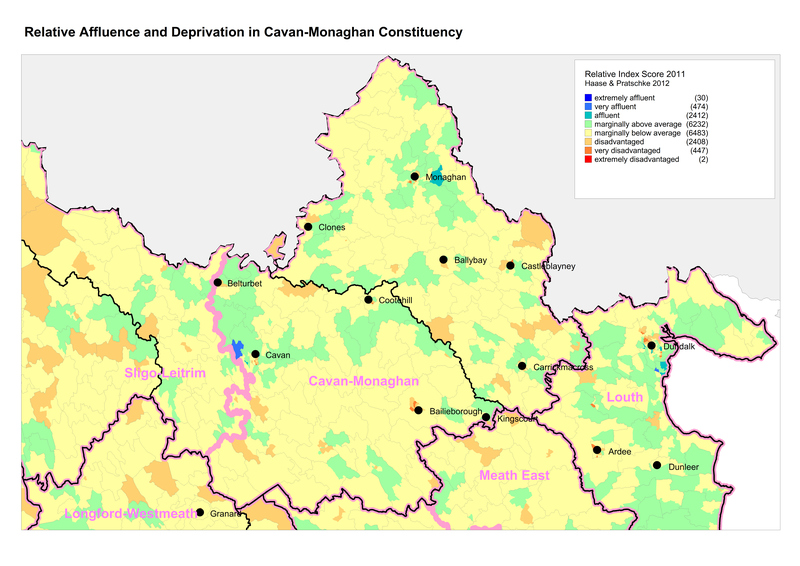 The FRC Reports are an extension of the County Reports, and provide additional information about the catchment characteristics of 107 Family Resource Centres supported by the Family Support Agency. 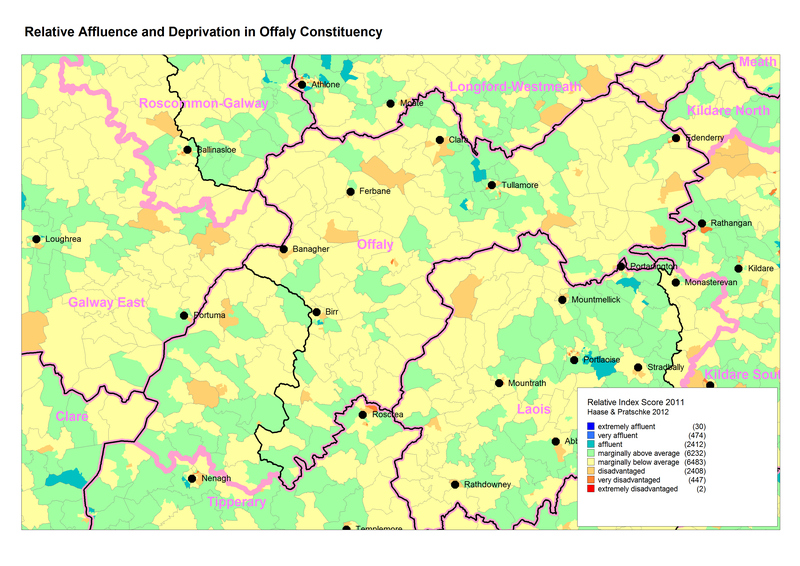 For maps showing the catchment areas of the FRCs click here. 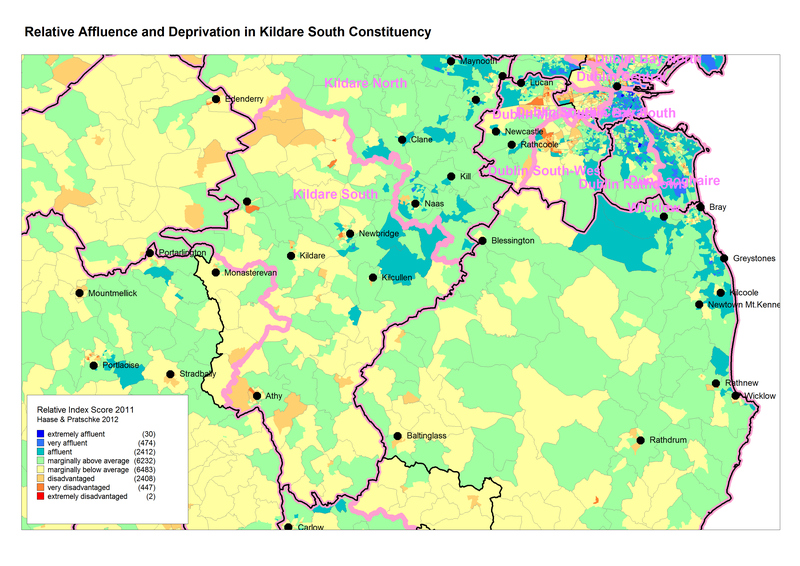 The area profiles are kept deliberately short, such as to draw attention to only the most important of observations. 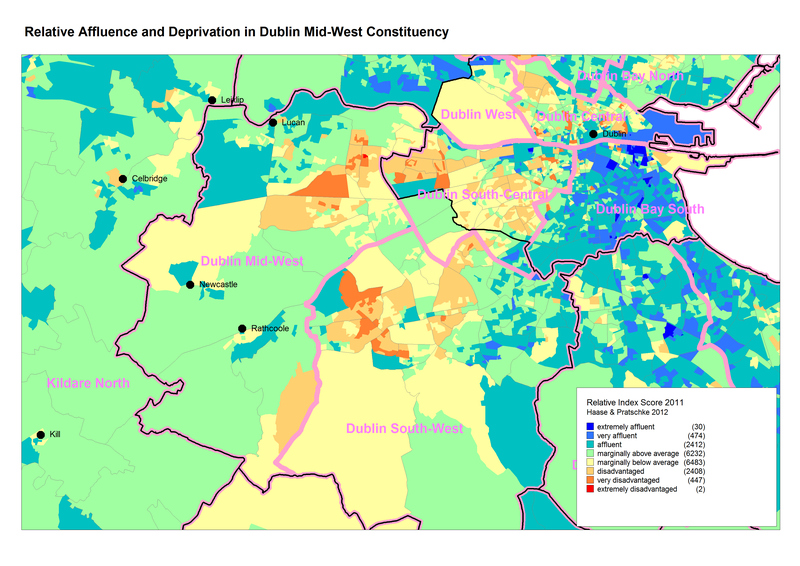 The original profiles cover the four census waves of 1991, 1996, 2002 and 2006. 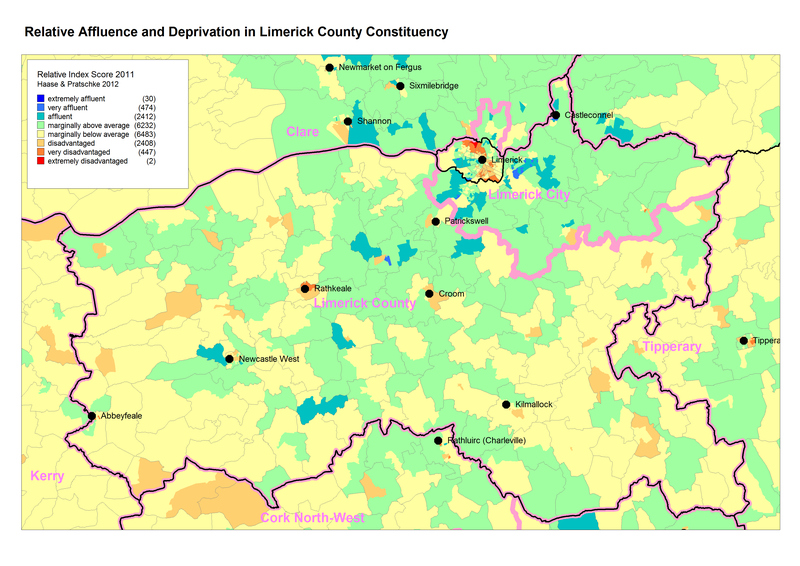 The newly released profiles are extended to cover the latest Census in 2011. 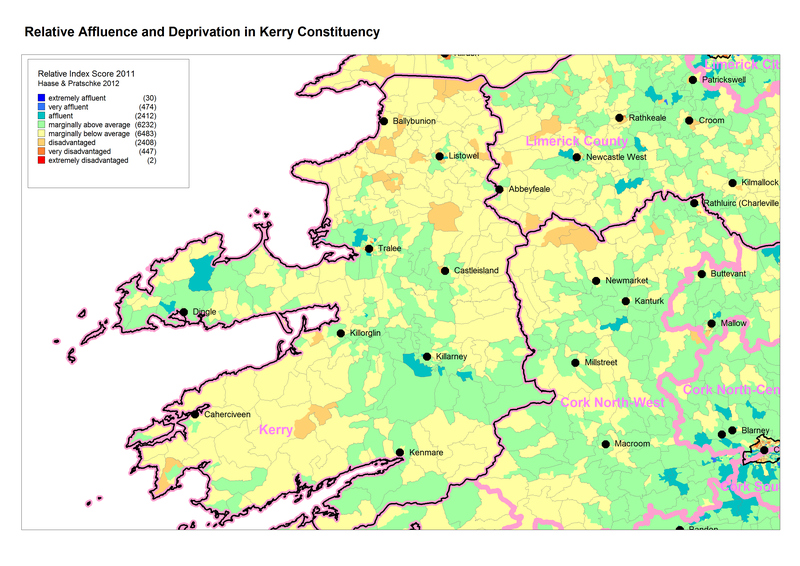 However, due to the change in the computation of the Pobal HP Deprivation Index using the new Small Area geography, the HP deprivation scores are reported for 2006 and 2011 only. 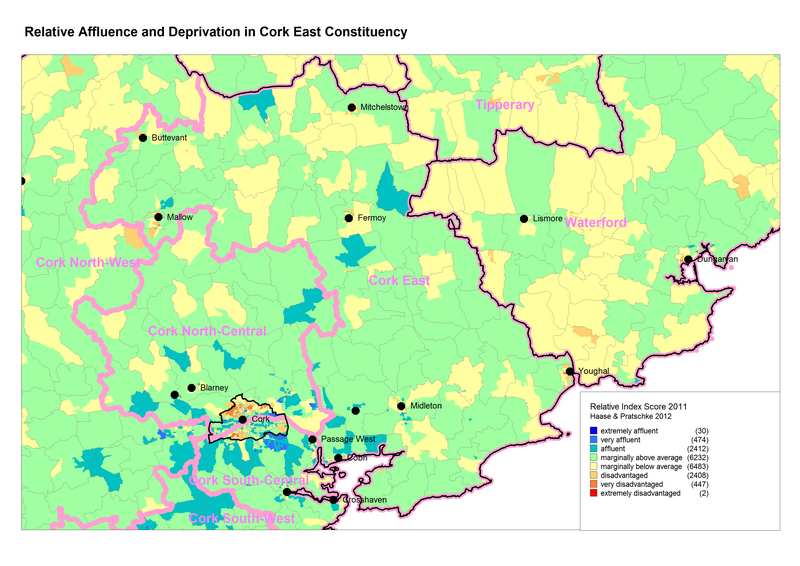 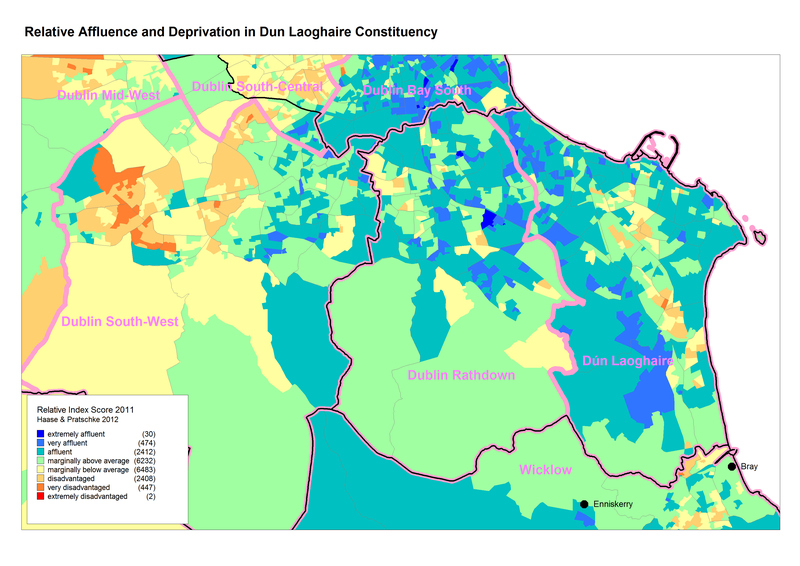 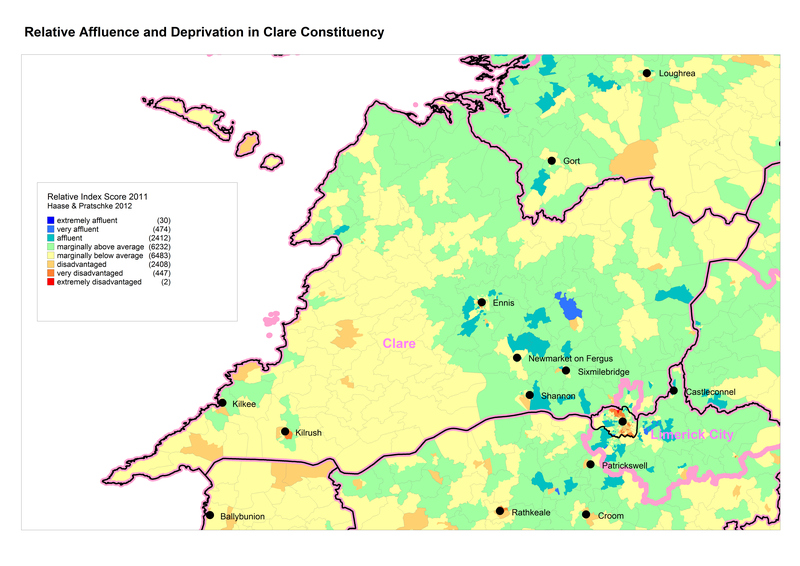 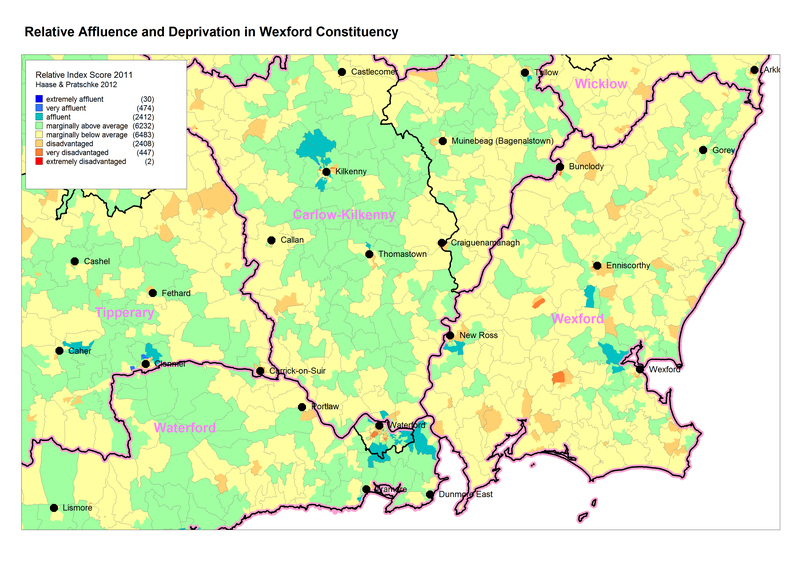 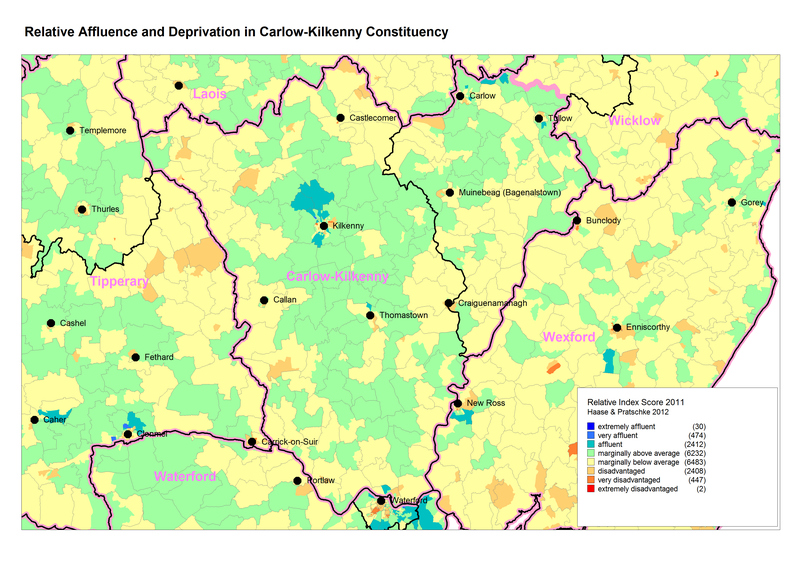 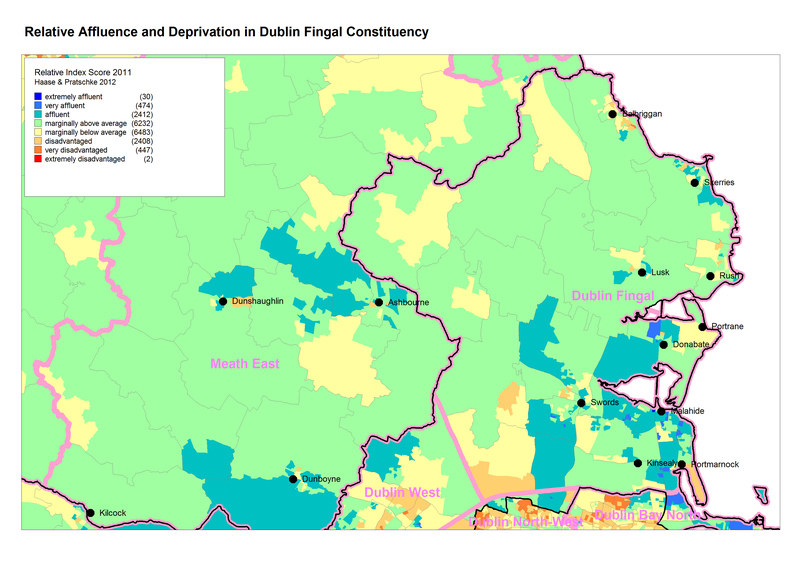 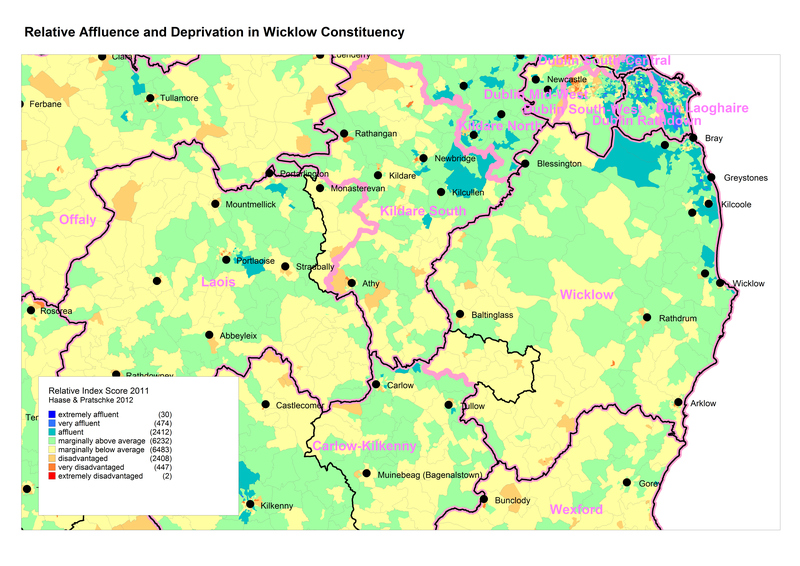 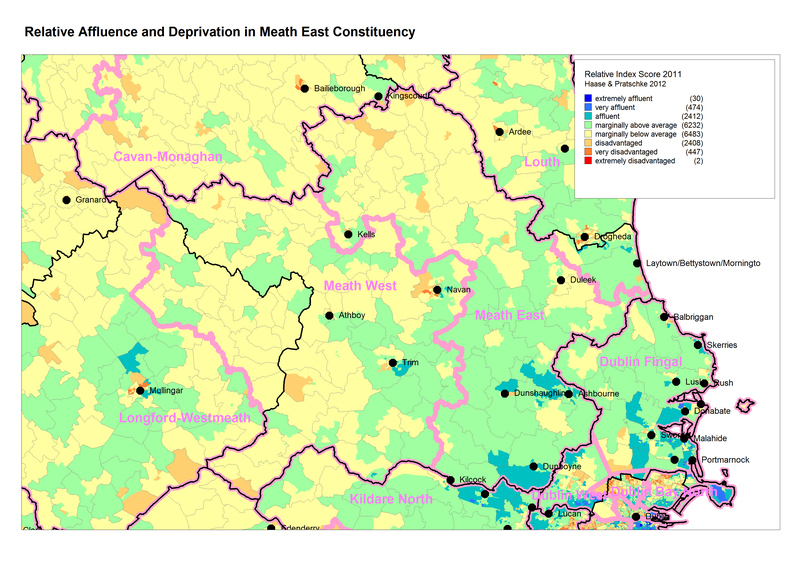 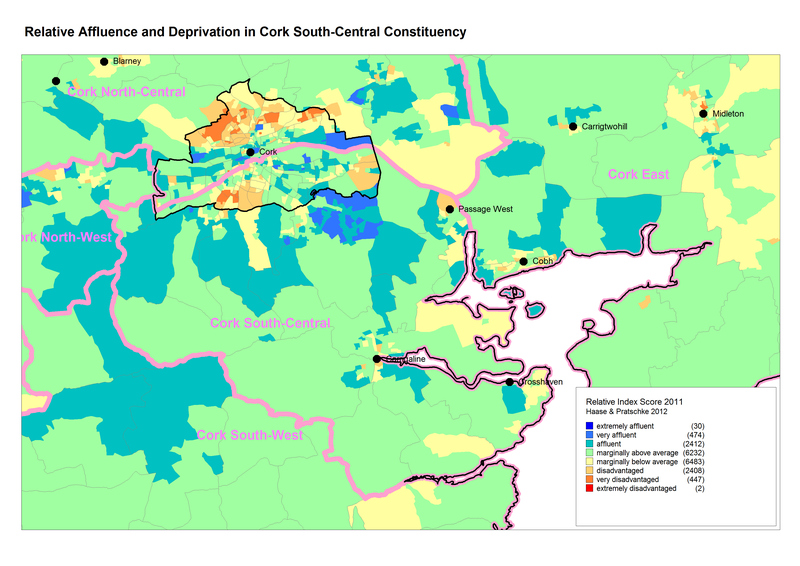 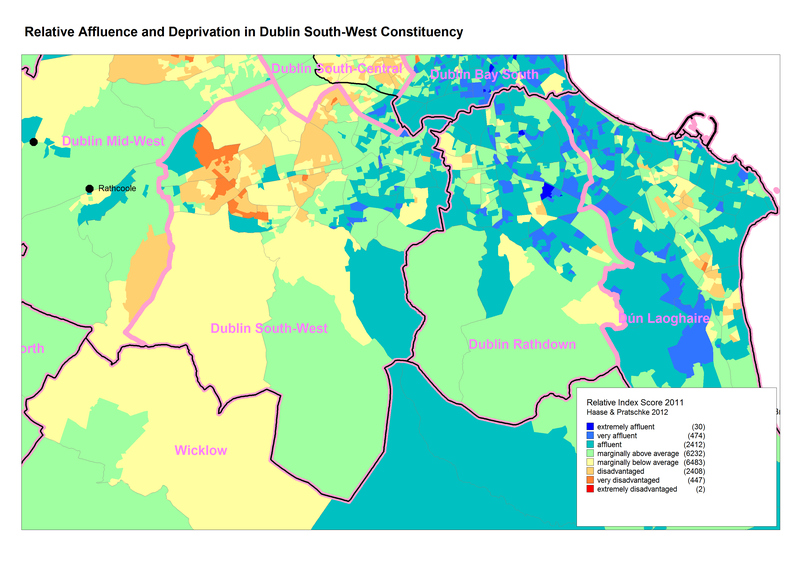 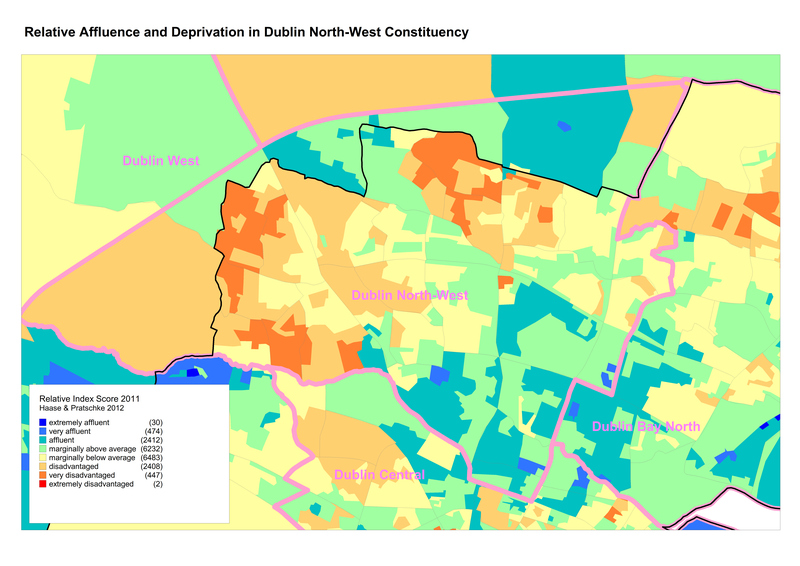 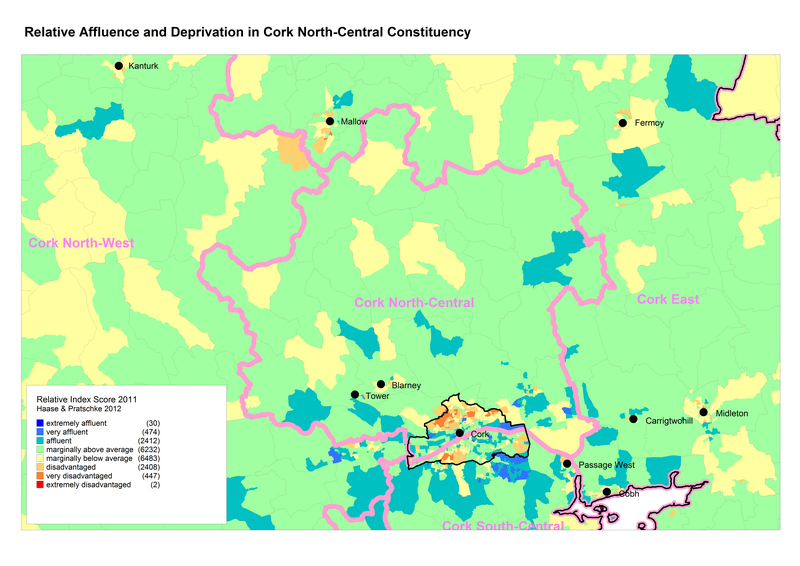 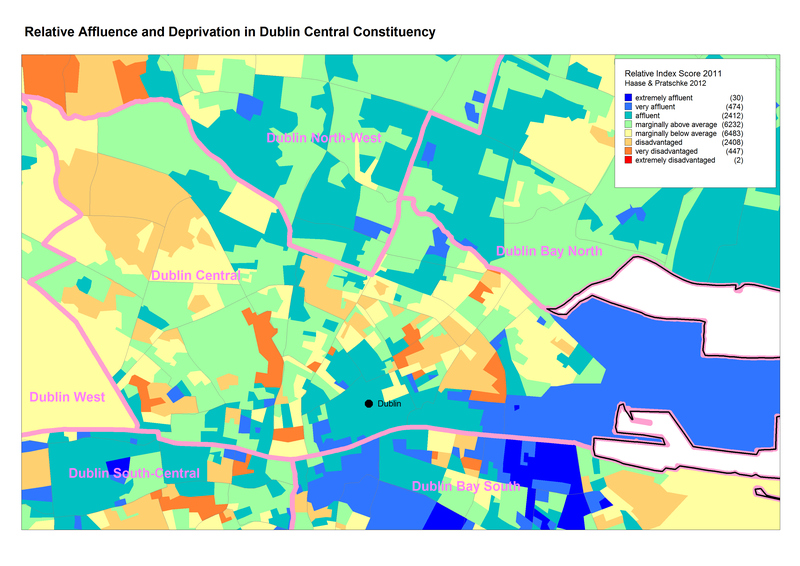 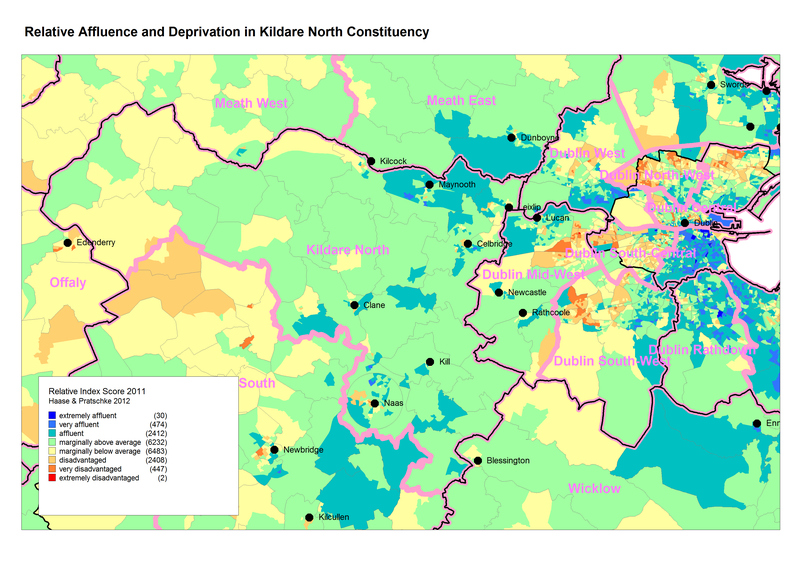 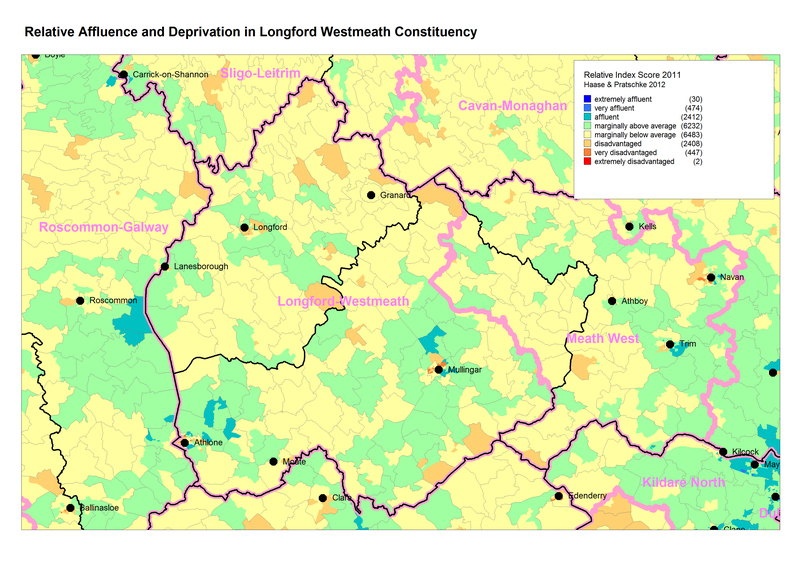 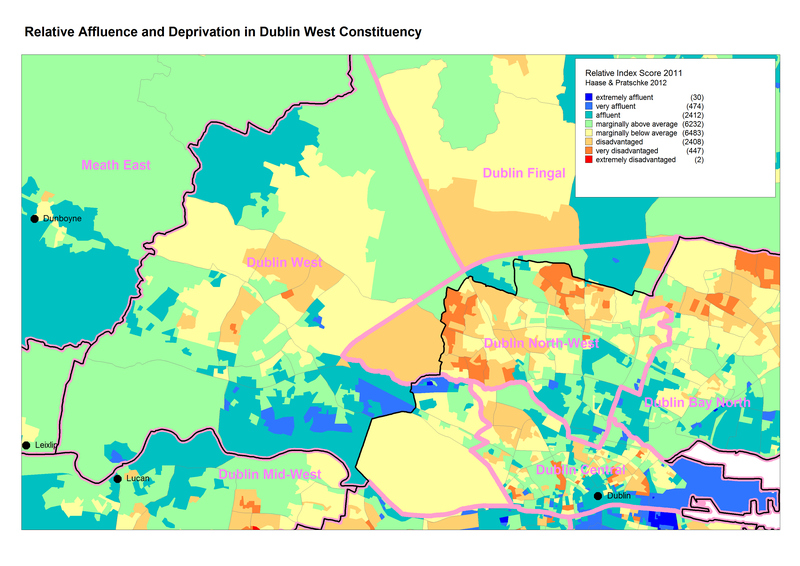 The table below provides access to 40 maps, each showing the constituency boundaries and the spatial distribution of relative affluence and deprivation as depicted by the Pobal HP Deprivation Index. 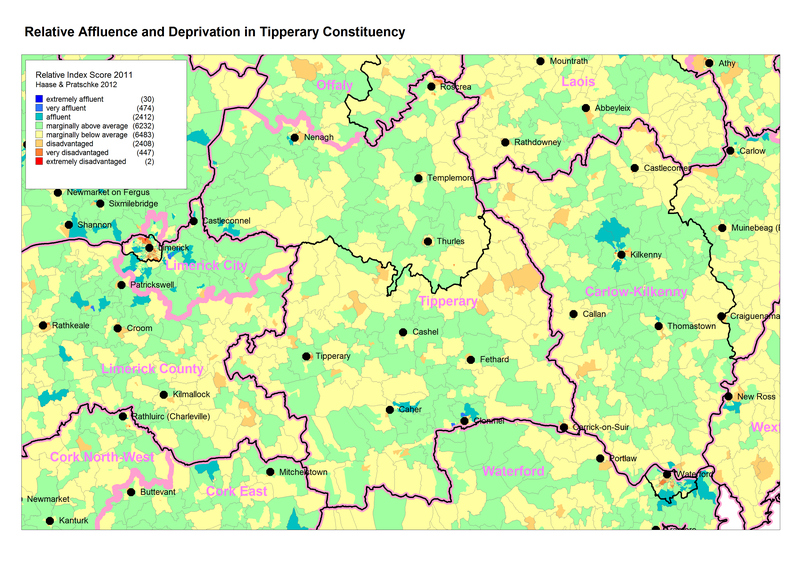 A brief commentary for each of the contituencies is brovided in the download below the table. 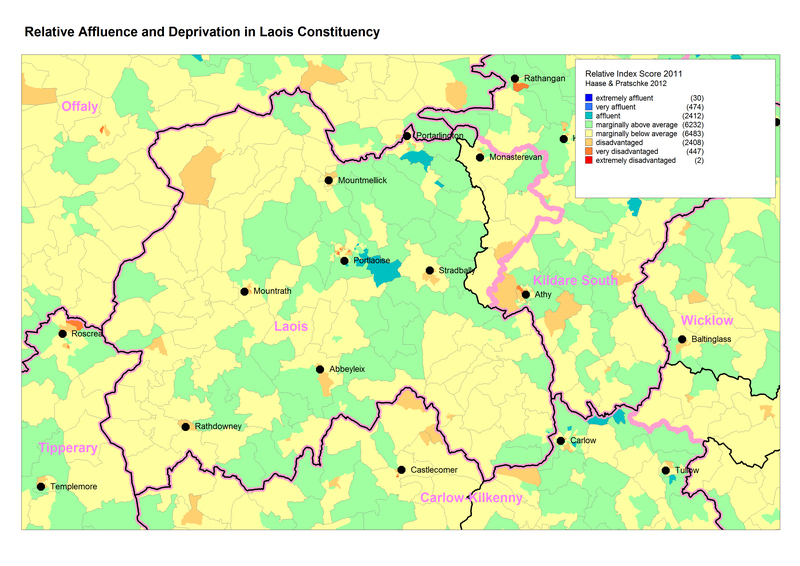 Priority AXIS 4 of the European Fisheries Fund (EFF) represents a new departure for structural aid in the fisheries sector. 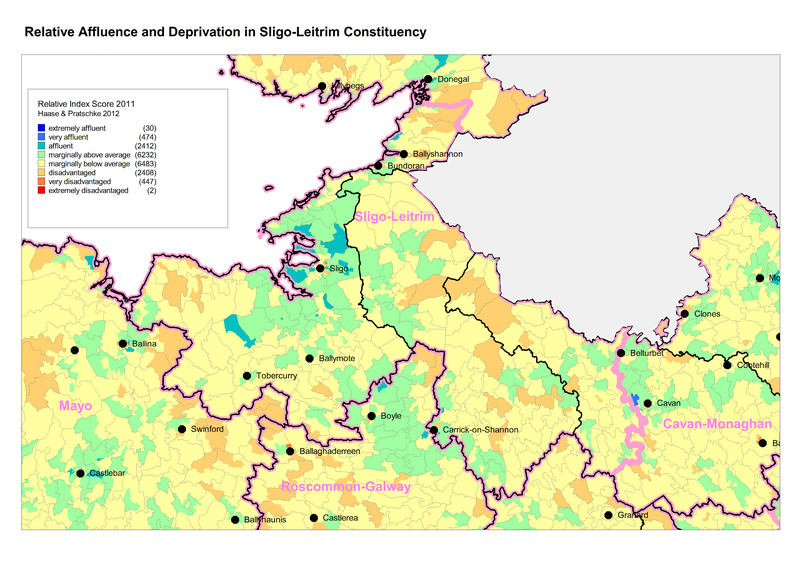 Unlike previous programmes, AXIS 4 focuses on the sustainable development of fisheries areas. 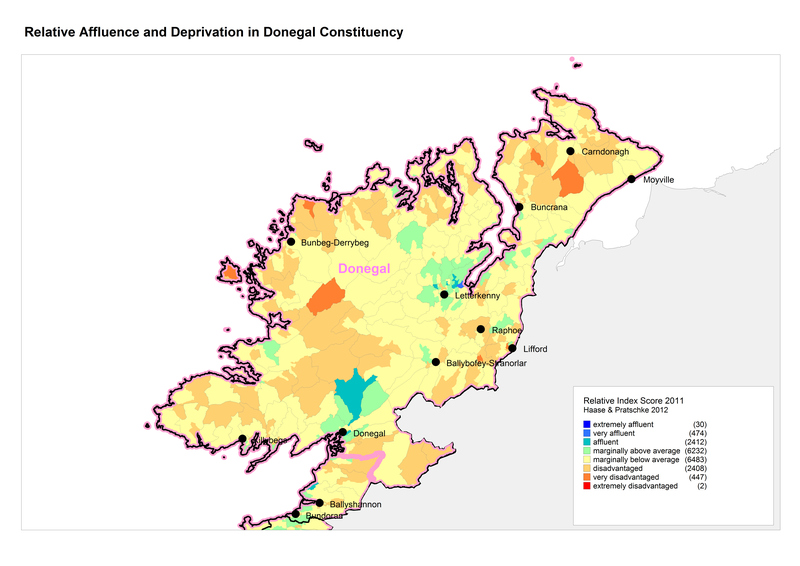 This area-based approach was introduced into the EFF for the first time in the period 2007-2013 and reflects the complex and rapidly-changing forces affecting fisheries areas and communities. 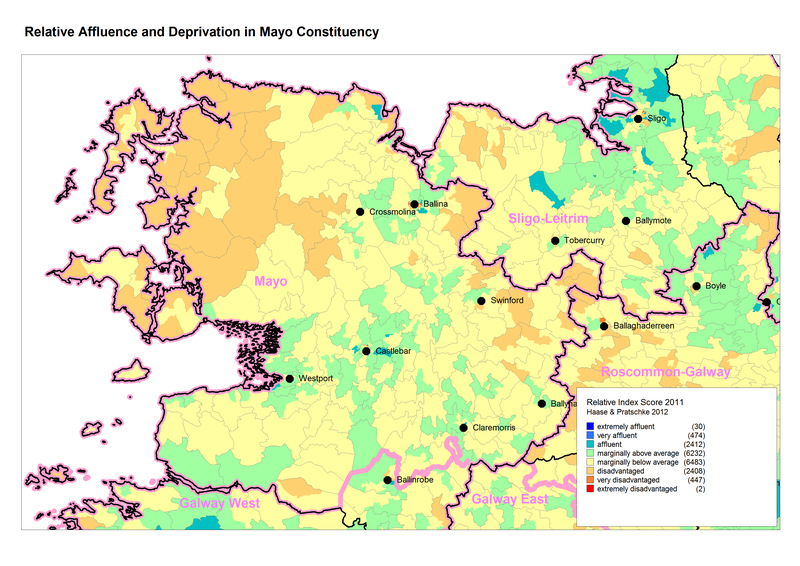 Bord Iascaigh Mhara (BIM) has commissioned a set of area profiles to assist in policy formulation for Irish fishing communities with respect to (i) local development studies for each of the six major Fishery Harbour Centres and (ii) local area plans under Priority Axis 4 of the EFF. 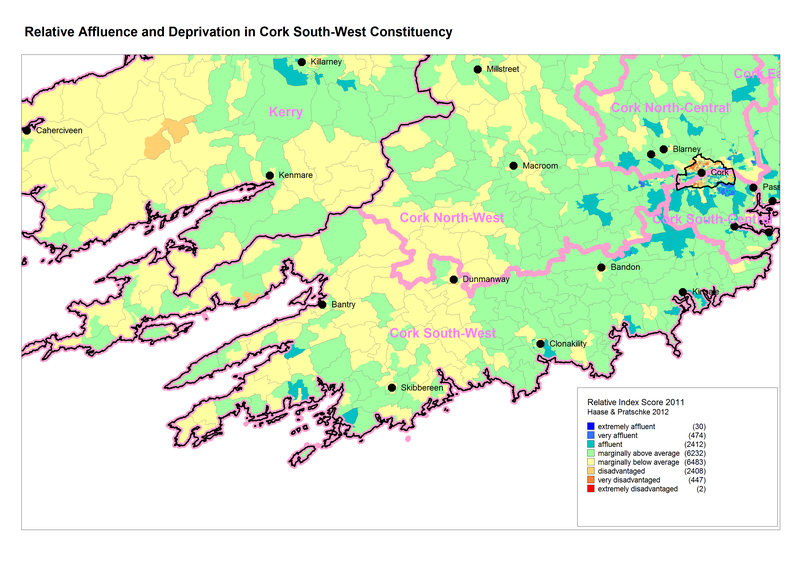 Each report will present a set of background statistics which describe the social and economic characteristics of each area as well as providing additional data specific to the fishing industry. 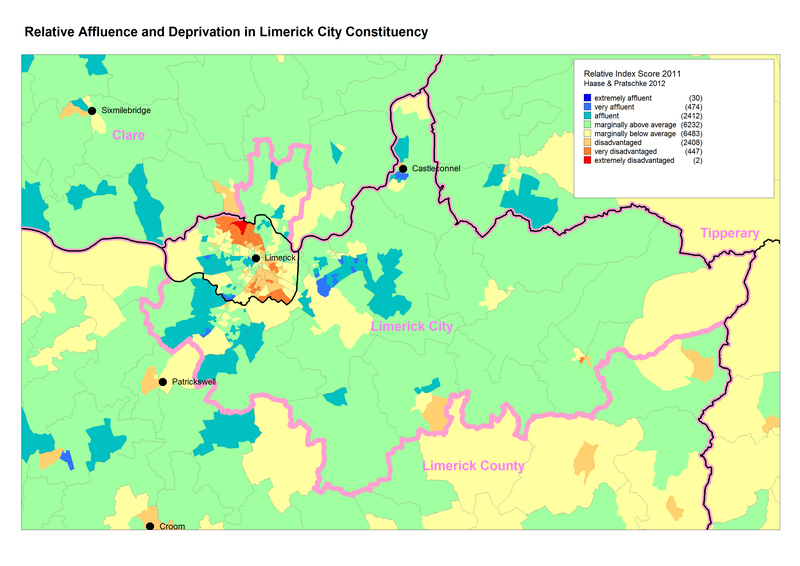 The reports will be published over the coming months. 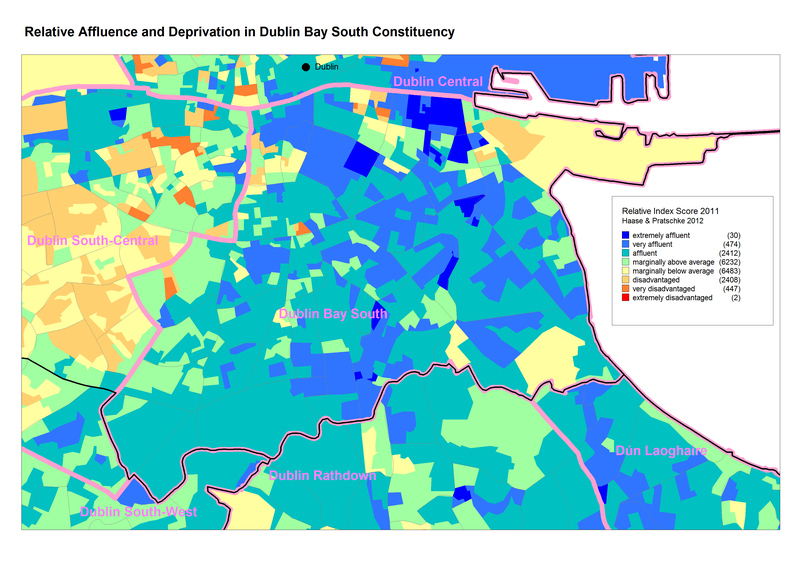 North East FLAG Report Howth Report New! 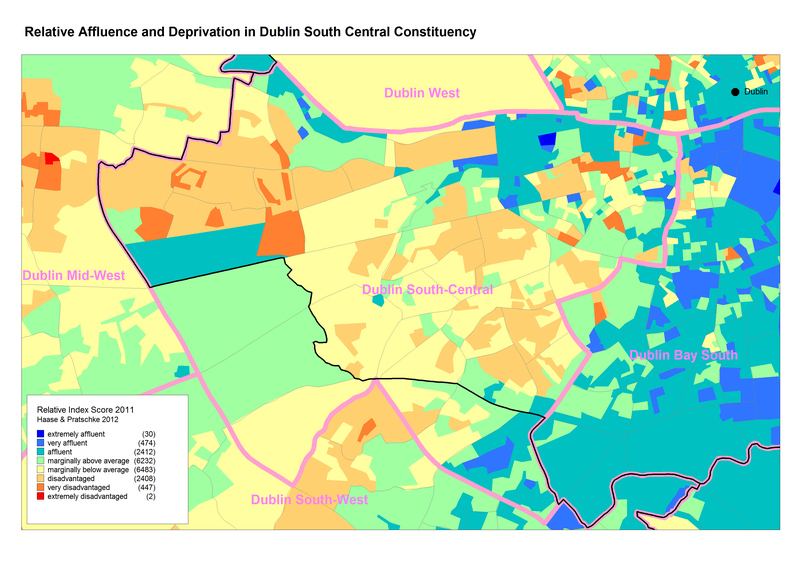 South East FLAG Report Dunmore East Report New! 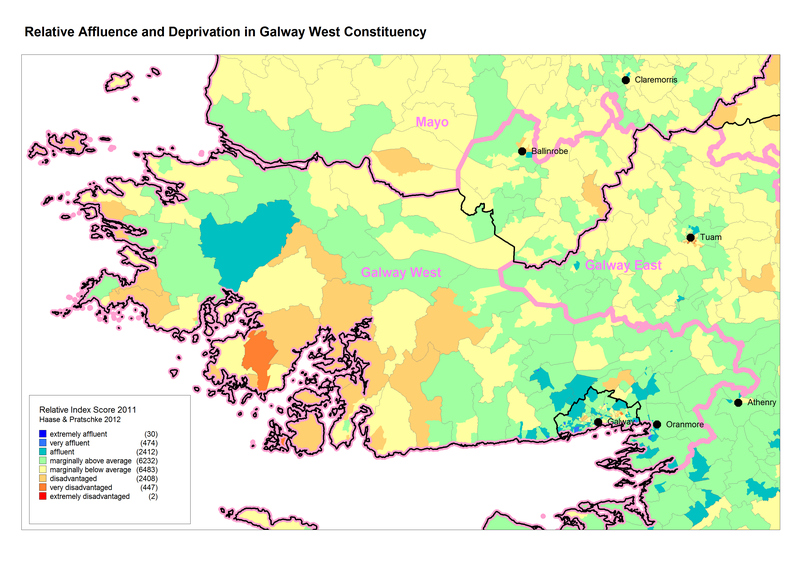 South West FLAG Report Castletownbere Report New! 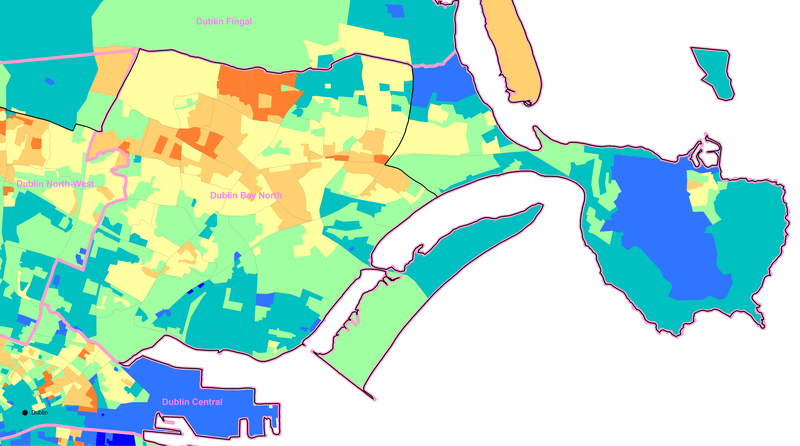 West FLAG Report Rossaveal Report New! North West FLAG Report New! 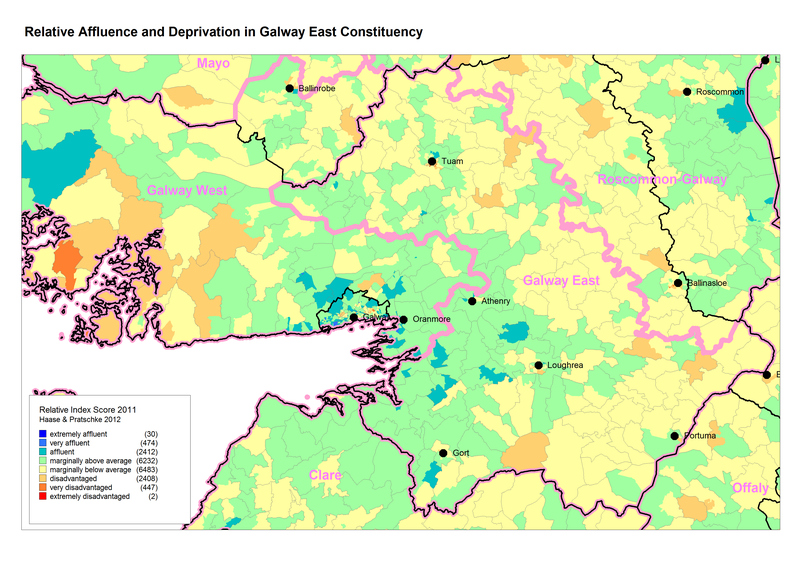 North FLAG Report Killybegs ReportGreencastle Report New!